As the most popular as well as powerful free and open source tool in the market,VLC is capable of playing virtually every file format that you can think of, both in Mac and window based computer including DVD of course. However, lacking the knowledge when it comes to using VLC for this specific purpose, many people encounter problems while playing their DVD video with VLC. There could be a number of reasons when it comes to these problems. These reasons vary, one reason behind it is that your VLC media player is not associated with .vob files. You need to associate it with .vob files for it to function properly. On the other hand, your player must be lacking all the needed codecs; therefore, you will need to download the combined community codec pack so that it can play your DVD with a lot of ease. This option can be helpful if only the file you are playing is not supported by the codec’s available in your VLC player. In order to understand the reasons behind your DVD not playing you will have to go to the message window and restart your stream. Thereafter, you will get some error messages from the wxWidgets message window if exist any which will tell you the problem. The most common problems behind VLC not playing DVDs is usually based on the difference between the burning speed of the disc and the speed in which your computer can play some media. For instance, you burned your DVD at 8X and your computer is capable of handling 4X Media. In this case, you will probably need to convert your DVD to videos using your favorite DVD ripper so that it can play smoothly in VLC. PS: There are so many free and paid video playback services out there, check out the article Top 5 Best DVD Player Software for Windows PCs to learn more. In case there are a lot of unsolved problems that you are experiencing every now and again when it comes to playing DVD with VLC, there are better options that you can adopt so that you can continue to enjoy your DVD videos. One of these alternative methods is EaseFab DVD Ripper which is one of the powerful DVD converters in the market today. It has the ability to convert any commercial and homemade DVD to any format that you think of. These formats include AVI, MOV, MKV, M4V, FLV, 3GP, MPG, ASF, VOB, TS, HD MP4, HD AVI, HD MKV, HD WMV, HD MOV, MP3, WAV, AC3, AAC, MKA, OG among others. It Performance is a comparison to a common DVD ripper. By just a single click, you can convert your DVD movies, with fast speed and high quality. It also provides optimized output formats for iPhone (iPhone 5S/5C), iPad (iPad mini 2, iPad Air), Samsung tablets, LG, HTC smart phones and many other devices. 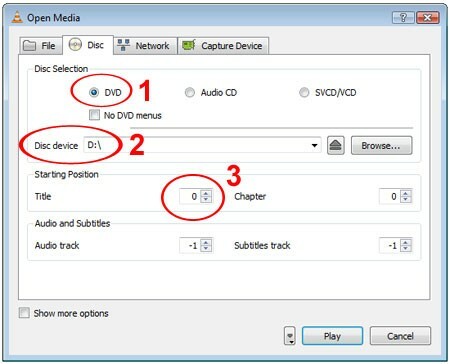 It is user friendly and the steps involved in converting DVD are also simple. Step 1: Insert DVD into your drive and launch EaseFab DVD Ripper. Step 2: Add the files you want to convert and select your preferred output format. Step 3: Click the Convert button to initiate the DVD ripping process. When finished locate your output folder and enjoy your movie. 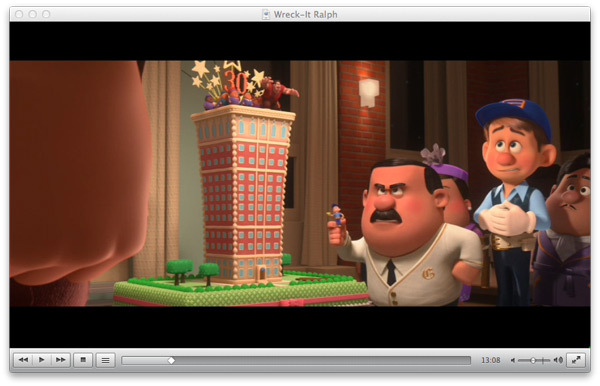 Tips: In fact, there is a overlooked feature in VLC that allows you to rip your DVDs as well. See How to Rip DVD with VLC.